Learn Aramaic: The word for 'church' in Syriac Aramaic. 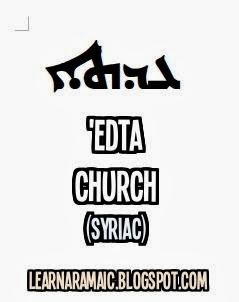 Church in Syriac Aramaic is 'edta-read from right to left. Take a look at the image below.The word 'edta is written in the Estrangelo version of the Syriac script. Now let's try to write it.